Thee Brian Spain LoungeNow, with 137% more Brian! The only person who keeps you from doing something, is you". Have you ever had a great idea? Sure you have. Did things get in the way of you executing that idea? Unless you are the luckiest person alive, sure they did. That’s where So I Decided To…. Productions comes into the picture. You have great ideas, but you need help getting them off of the ground. We can help that idea come to life. Whether you need someone to help you: write, cast, film, direct, edit, or any combination of these tasks. 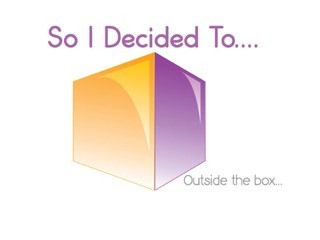 Whatever you need, the team at So I Decided To…. can help. Maybe you have done all of these things already, and just need a website to tell the world how awesome your project is. Hey, we do that too! Do not delay any longer “wishing” and “hoping” that your project will get made. Contact So I Decided To today, and let’s talk about making your vision a reality!